Brace yourselves ladies and gentleman; black is back in fashion. Yes, your luxury bathroom makeover should include a black bathtub at least! Aquatica, being the leading provider of high-end bathtubs, breaks to you the latest news in bathroom décor and styling. Brace yourselves ladies and gentleman; black is back in fashion. Yes, your 2015 luxury bathroom makeover should include a black bathtub at least! Take a walk down memory lane and you might recall how black luxury bathtubs were all the rage in the 80s. Even if you were too young or not even born in that era, you will see those black bathtubs in the movies of that decade. They remained in fashion for quite some time but soon lost the appeal to the older demographic, which started to prefer lighter shades that ensure better reflection of light. As the majority walked away from the bold choice, it became more favored by teens more inclined towards making unusual and unique choices. While the color is back in trend, it still retains the mystery that makes it unique. However, that is not the only appeal. Black high-end bathtubs now have different design elements such as wrought iron accents. These additions give a whole new luxurious appeal to these fittings. Moreover, there is a difference in the people are using the color black in their bathrooms. Back in the day, black tubs were used with a completely matching theme. 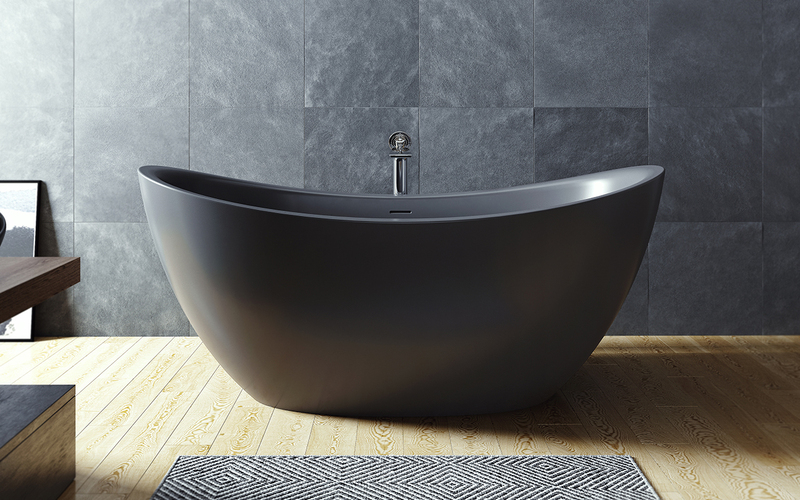 You could expect to see black tubs fitted in a bathroom with stark black tiles and black bathroom vanities. Thanks to much bolder creative edge used by designers today, things have changed. The most popular way to use high-end bathtubs in your bathroom these days is to accentuate their beauty with contrasting tiles in white or lighter shades of grey on walls and floors. Now that is what creates a perfect blend of mystery without making space look too crammed. Now, with all said and done, let us forget trends for a while and give you one of the greatest reasons to have a black in the bathroom. Black symbolizes privacy and luxury like no other color. Imagine a freestanding bathtub in black in the middle of a bathroom decorated with colored tiles that don’t reflect excessively blinding light. Think of how relaxing the experience of having a hot bath in that tub would be. The color helps you create an environment where you can actually meditate in peace. 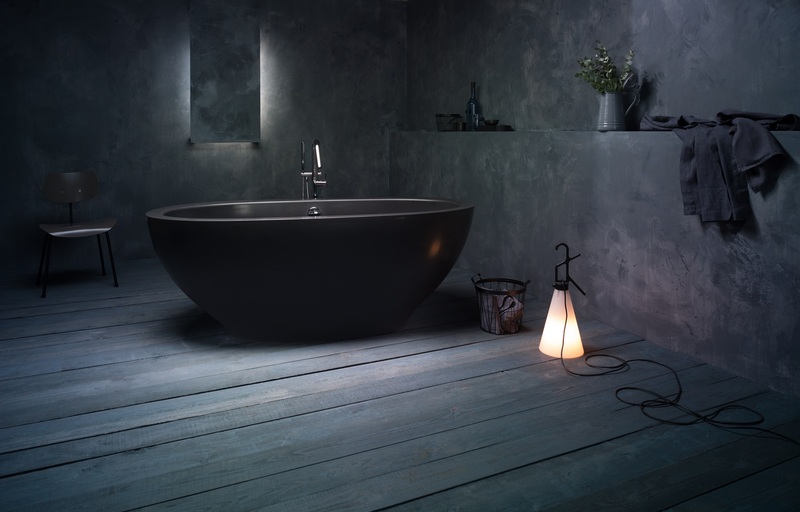 So, if you have made up your mind to go darker and bolder with your bathroom fitting choices, don’t forget to check out our collection of mesmerizing black freestanding bathtubs at Aquatica.